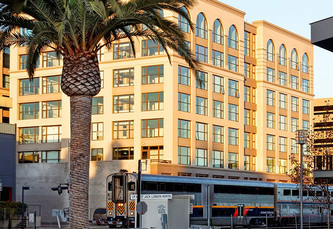 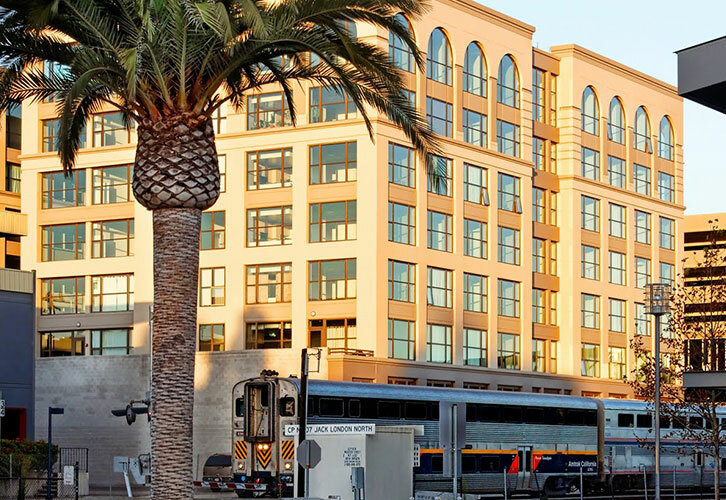 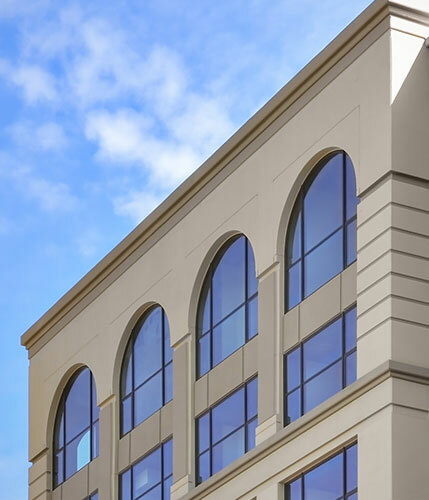 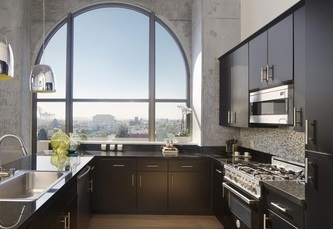 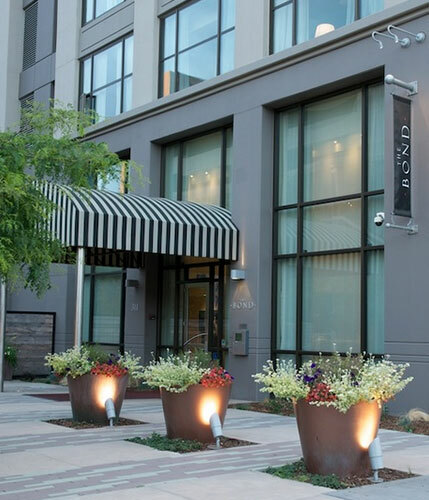 The KSD Group provided project management services for the construction of an 8-story Type 1, high-rise luxury condominium project located a few blocks from Jack London Square in Oakland. 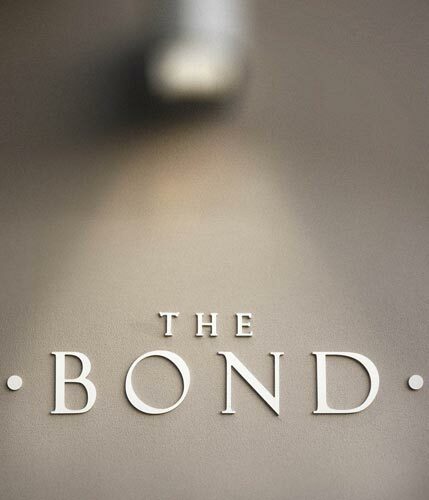 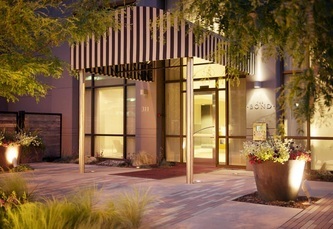 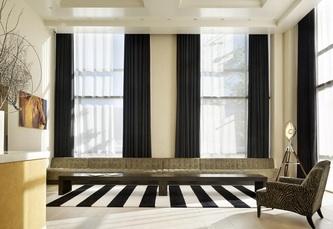 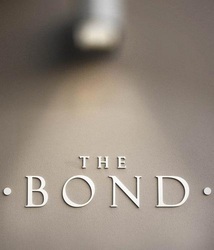 The Bond is conveniently located directly next to the Amtrak parking garage. 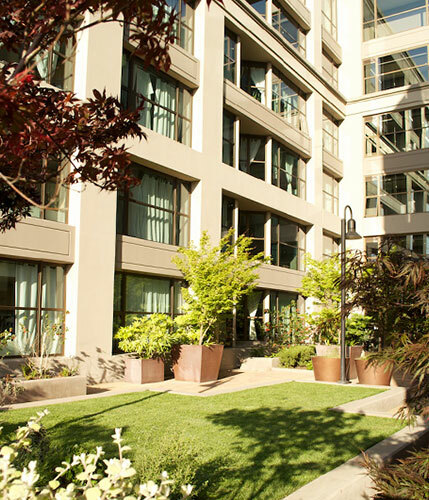 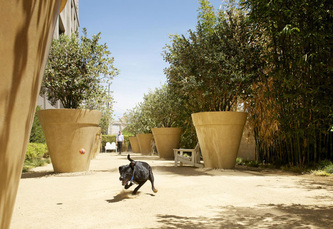 The building has two floors of enclosed parking, a spacious street level lobby, fitness room, a third floor outdoor landscaped courtyard with an exercise area, and a street level courtyard with a dog park. 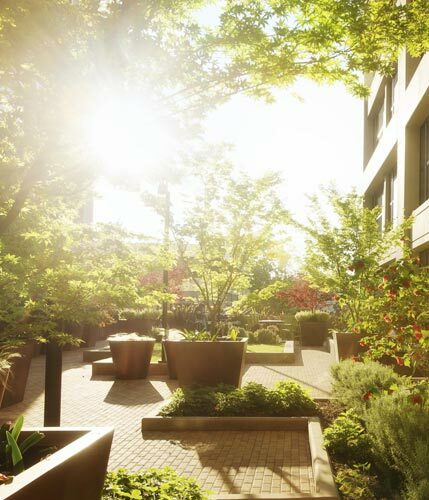 The building also has several ‘green’ features, including vegetated bio-swales: a “living” planted masonry courtyard wall; water conservation and recycling features; dual-paned, laminated windows and electrical service in the garage for charging electric cars. 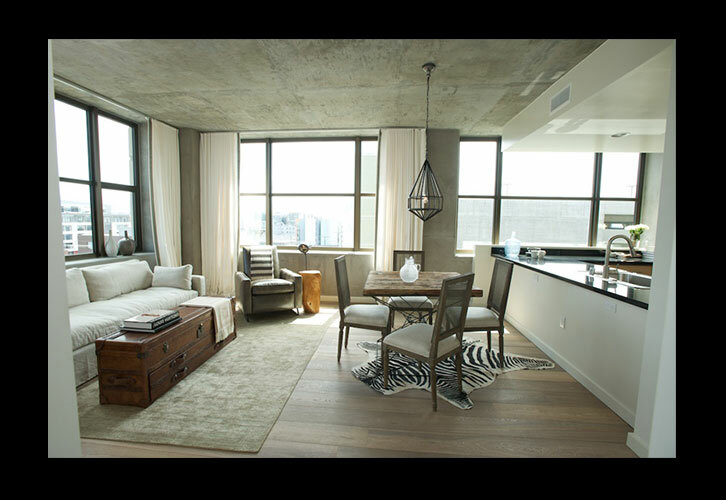 The 101 high-end units are designed to mitigate sound transmission between rooms, between floors, and to minimize outside noise. 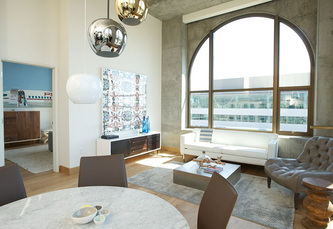 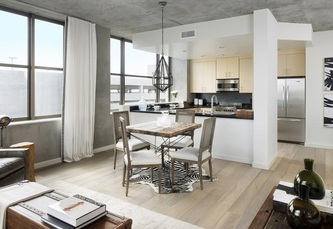 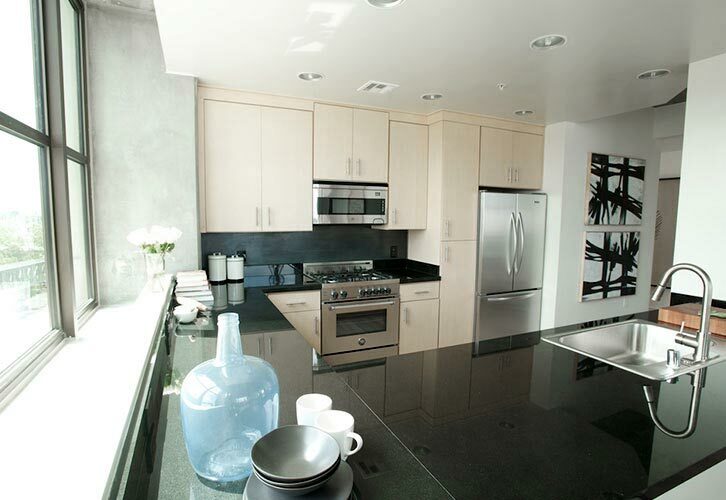 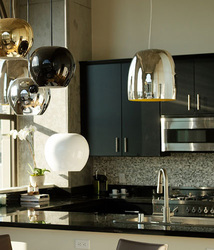 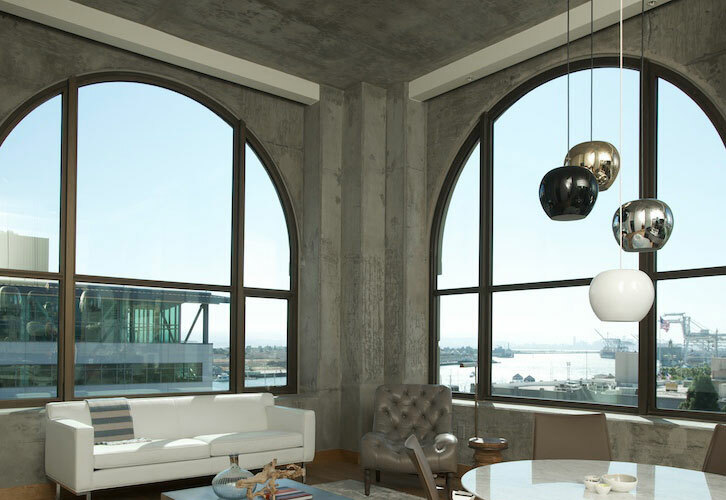 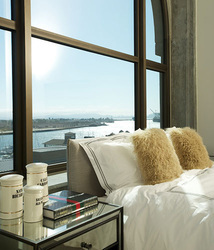 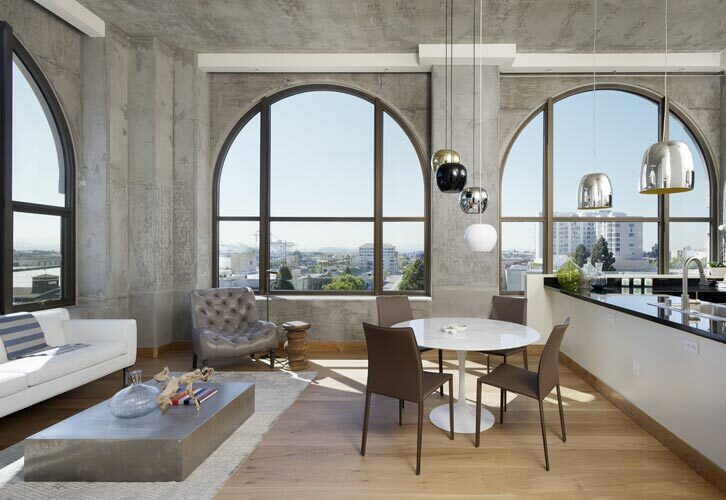 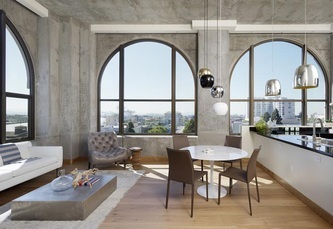 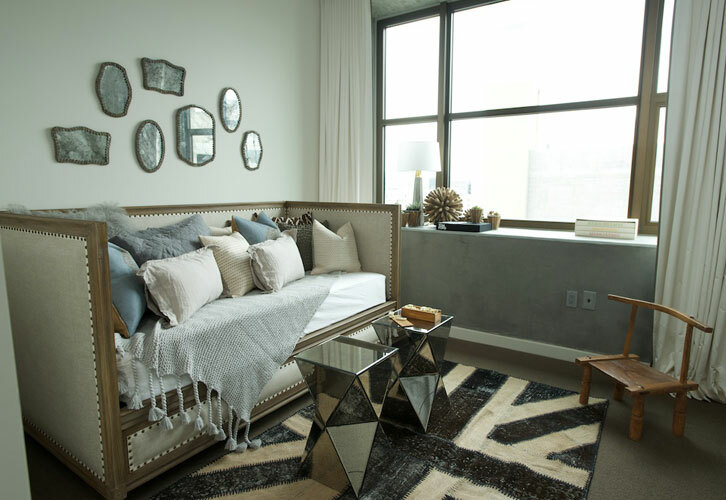 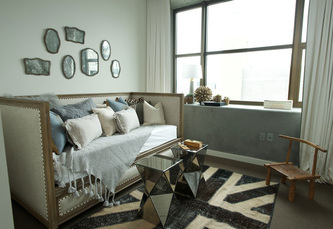 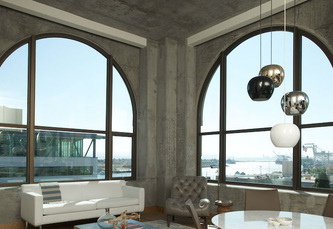 The units have high, exposed concrete ceilings (13’ high on the 8th floor), maple cabinets, black granite countertops, air-conditioning, state-of-the-art interiors, fire alarm systems, and sweeping views of downtown Oakland and the bay. 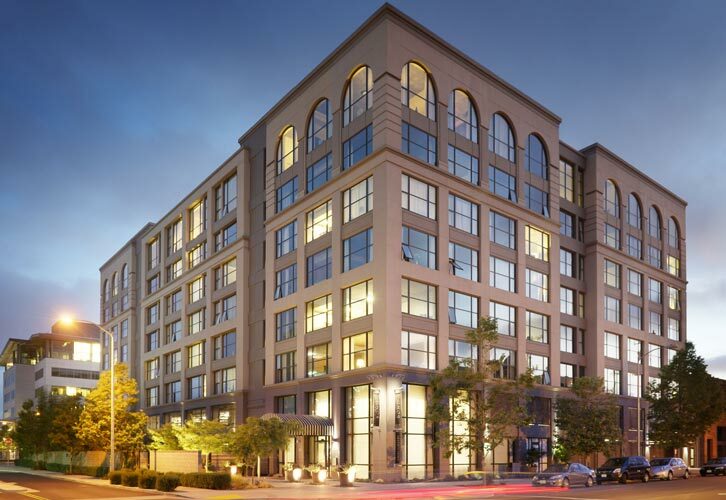 KSD was involved throughout the design and construction process including with contractor selection, project cost control, change order tracking, pay application review, quality control, problem solving, and providing valuable value engineering input to the Owner to maintain the project budget. 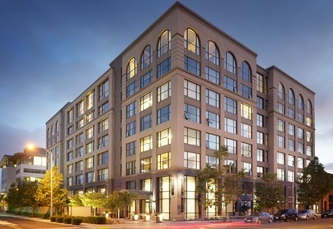 The project was completed on schedule in June 2009.